They say nothing is as powerful as an idea whose time has come, and Golf Clap is reaching its moment. After six years of tireless hustle, Bryan Jones and Hugh Cleal have conjured a palpable energy. It's one fans can feel at every gig, be it a hot-and-heavy club set, or an energetic takeover of a festival stage. With roots in the Detroit and Chicago house scenes, the duo feeds off each other and the crowd, spinning the hottest songs of the moment while breaking new records, and it's not any press play, hands in the air fair. You're likely to hear a lot of cutting up between face fulls of funk and bass. Golf Clap is insatiable, having performed 13 official and surprise sets at last year's Electric Forest alone. This constant dance floor momentum makes Golf Clap regulars at Movement, Miami Music Week, and Holy Ship, and have landed the duo a spot at the inaugural Friendship music cruise. Golf Clap makes their triumphant return to their own imprint with an original production that is explosive, groovy, and infectious - much like their highly coveted DJ sets. 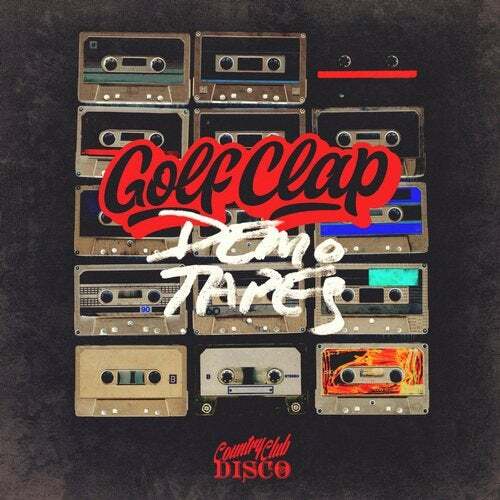 With 'Demo Tapes' Golf Clap have shown, once again, that they are equally savvy in the studio as they are in the DJ booth, creating memorable moments that leave us begging for more.